About the first thing our ancestors did when they emerged from the primordial swamp was finding a decent cave, and posting keep out notices. This fixation with having rooms mapped across to offices because the walls kept the roof up. The first real change was in Germany after World War II, when aircraft hangars became work spaces and open plan ‘bürolandschaft’ offices appeared. These were spartan as befitted the times with no interior glass walls at all. But this was the only way to get the economy going again. This has nothing to do with agriculture in California. As American architecture became more sophisticated, deeper and deeper office space appeared. Builders needed massive bulk at lower levels to support towering skyscrapers above. The lower levels were a great place for open office landscaping. Walls were no longer structurally necessary, and besides there were great savings on air-conditioning costs. Office designers however made a serious mistake. They pandered to management’s desire to have walls around their workspace. Then they put the managers at the top of the tower to reinforce the ‘us and them’ tradition. At lower levels, the troops fought incessantly over pot plants and screens that actually belonged to everyone. Some even sneaked in over weekends to budge them closer to their desks. Since then, there has been a gradual return to American architect Frank Lloyd Wright’s dream of ‘democratic architecture’. Managers have begun returning to working on the same floor level as their people. However, there are limitations in terms of privacy, because performance appraisals and conferences are best kept private. Interior glass walls have become ‘hot property’ since the move away from solid panels that proved expensive in terms of HVAC. 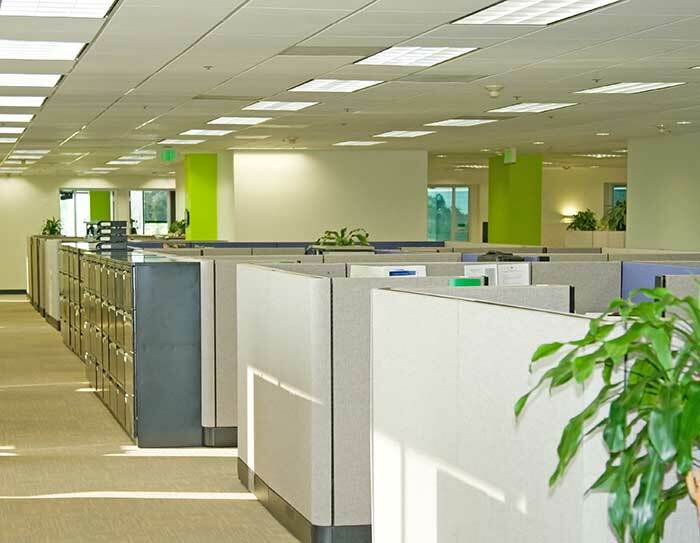 Hence, the modern office of today and the office of the future is a bright, transparent space where natural light penetrates throughout, and there is a strong sense of team. 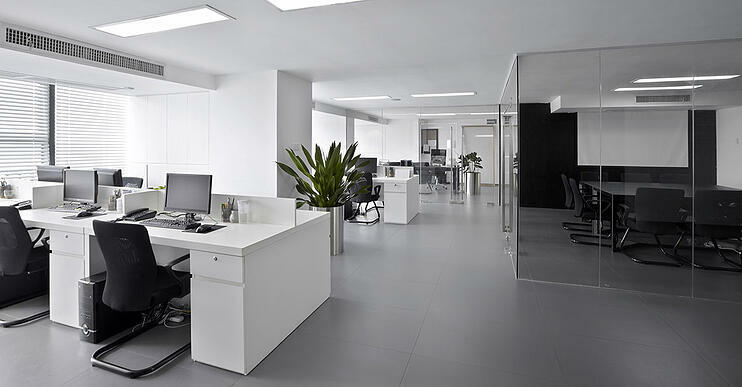 Offices satisfying the primordial need for ‘own space’ have bounced back. They are going a long way towards eliminating open plan stress and entering an age of collaboration. Open plan, bürolandschaft offices created the illusion of space since all the occupants of a work cluster perceived the area between them as ‘their own’. Transparent interior glass walls create the same illusion. This is critical, given that average office size is down 30% since 2007. Moreover, clear glass walls demount easily compared to drywall, making major layout changes practical over weekends. The belief that one workstation would suit all was one of the greatest reasons for open office’s failure. Exciting opportunities exist for semi-opaque glass walls including semi-transparent films, content jumbling cloaking films, and switchable smart glass that electronically lightens and darkens when electricity is applied. The latter emerged from climate adaptable buildings, that darken perimeter windows when solar heat strikes the glass. Interior glass walls are adaptable technology where office layout obeys function, and not the architectural grid. They open the space up to collaborative working. At the same time, they acknowledge the individual worker’s need for ‘own turf’. Sliding glass walls allow for flexibility in space design should the need arise to close off an area. They are also great for energy savings and meeting targets. The only question to ask is why we took so long, to get this far down the road to the way offices should be.